Pakistan has always been known for its tourism and a commendable heritage that attracts tourists from far and wide, not only the historical sites but our religious monuments attract a lot of tourists. They are spectacles that the world has no substitute of, of architecture a skills. Pakistan has a verity of people with different religions; therefore you can find here a diverse range of religious places belonging from different ethnicities. 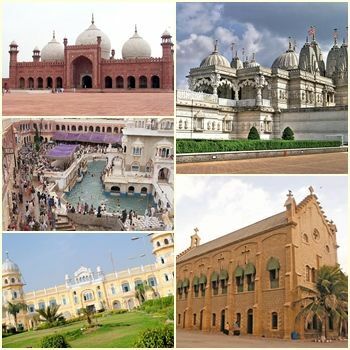 From Muslims to Christianity, Hinduism to Sikhs, Pakistan possesses and has preserved a large number of religious places over the decades, which are frequently being visited by different people around globe. People belonging from their respective religions visit these religious places quite often or annually because of their religious rituals and festivals. Whereas, some visit these places as tourists just because of their extraordinary beautiful structures and how they have been maintained over these many years. Pakistan’s state religion is Islam and approximately 99.8% nationals of Pakistan are Muslims. The remaining 2.5% population practices different religions like Christianity, Hinduism, Sikhism and other religions. These religions are rich inculture and are quite interesting for the people belonging from other religions. Here are some of the most visited religious places in Pakistan, starting with Muslims religious places, followed by Sikhs, Hindus and Christians etc. 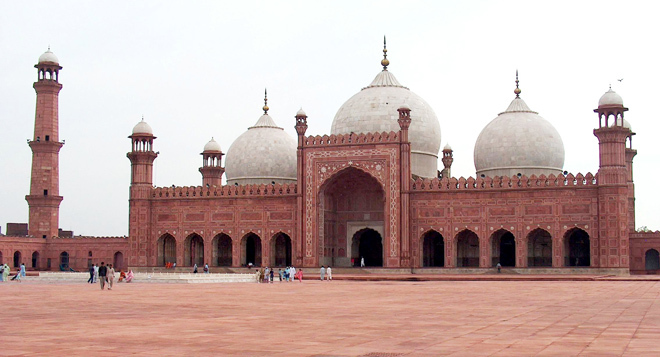 Badshahi mosque which is also known as “imperial mosque” is situated in the city of Lahore, which is counted as the second largest mosque in Pakistan and South Asia region, whereas it is the fifth largest Mosque of Muslims in the worldwide. It is a symbol of beauty, passion and devotion of Mughals towards their religion, which was built in the era of Mughal emperor Aurengzaib. Faisal Mosque: As the name suggests, this Mosque was named after the king of Saudi Arabia, King Faisal bin Abdul Aziz. It is the true epitomize of beauty and royalty as it is the art of Turks. It has been designed as a desert Bedouin’s tent. It is in the heart of the capital city of Pakistan, Islamabad and a large number of people visit it on daily basis. Muslims offers their daily 5 times prayers in it. 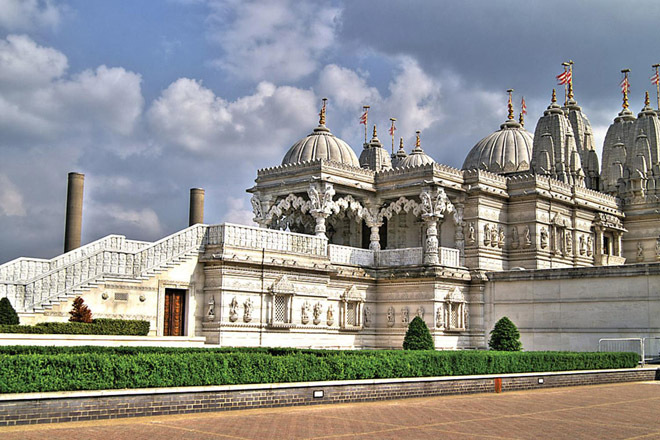 As the name implies, it is a Hindu temple which is present in Karachi and it is the only Swaminarayan temple in Pakistan. This temple is 150 years old and it still stands still like it was few decades ago. It is seen as great nobility as Hindus as well as the adherents of Islam also visit it and all the festivals are celebrated here by the Hindus from all corners of the world like Holi, Janmastami, and Diwali etc. This was the first church that was built in the region of Sindh therefore it has great historical importance as well as religious. Most Christians visit this church every Thursday for prayers. 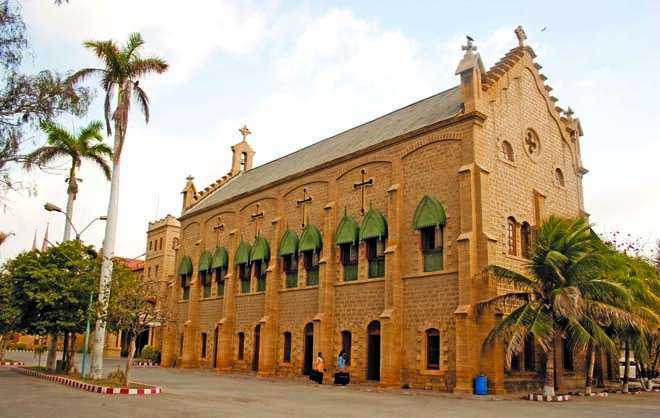 It is the largest church in Sindh; Christians visit it for the sake of getting inner peace and for the purity of their soul. It is formally called as ‘Rai-Bhoi-Di-Talwandi’, situated in Lahore. It is considered as the most sacred religious place for Sikhs as their founder Guru nanik was born here. Sikhs from all over the world visit it with their hands full of wishes and they believe that their wishes will come true here if they pray here. 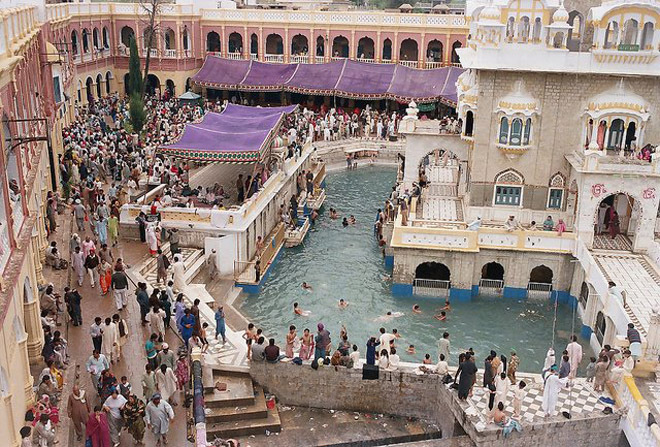 This place is approximately 48 km from Rawalpindi and it is known to be the most sacred and holy place for Sikhs. 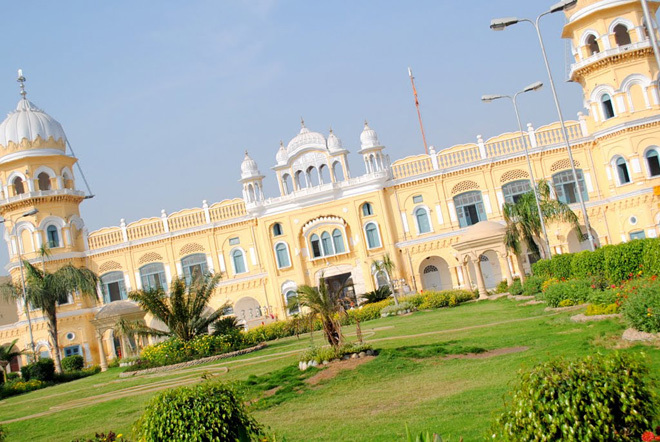 Semi-annually, thousands of Sikhs visit this place from different parts of the world especially from India. Its importance has increased because it is believed that the rock placed in the center to this place has the hand mark imprinted by the Guru Nanak, that is why it is called Panja Sahib. Above mentioned are the most visited religious places of Pakistan. All these places hold great importance for different people and a great source of attraction for many people across the globe. For some people it is just a piece of art whereas for some it is a source of eternal peace and spirituality. Married Life: What a Ham!